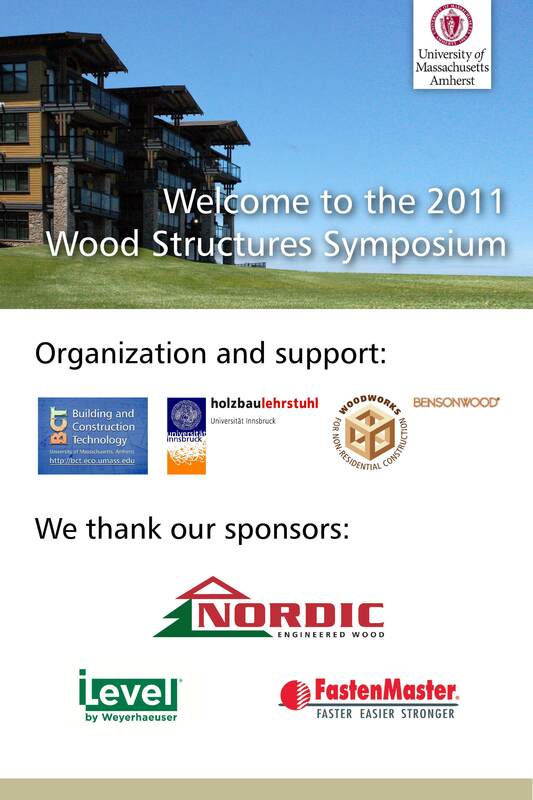 Thank you to everyone who attended the 2011 Wood Structures Symposium. As in years past, this symposium was a great success and showcased what amazing buildings we can build in wood. We finally got around to posting the presentation slides, speaker bios and photos from the event to our archive page on this site (where it will remain available). You can find all of that at the following link. Contact the conference organizers if you would like to sponsor this event or would like to be an exhibitor.